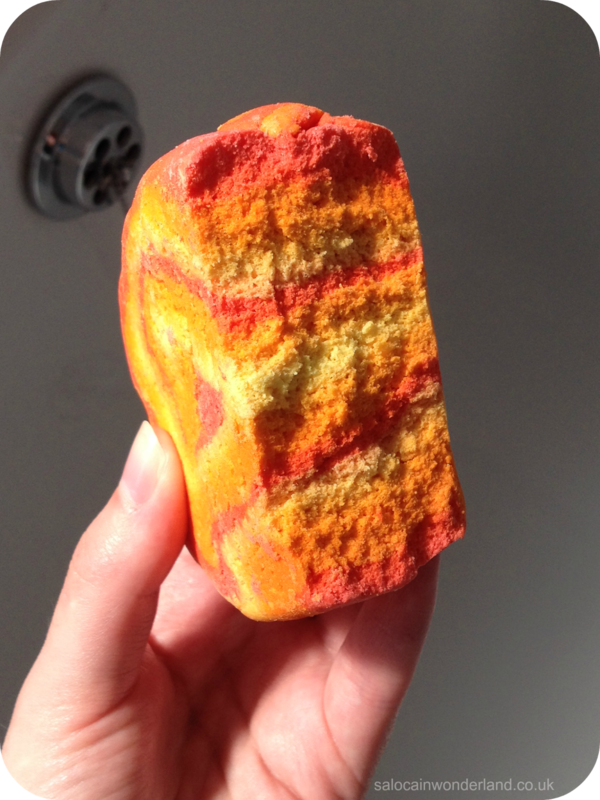 It feels like an age since I last wrote a Lush review, especially one that involved a bubble bar! Truth be told, I got a ton of bubble bars at Christmas that I’ve been working my way through – but who wants to read a Christmas review in May? (If you do however, let me know in the comments below because I’d love to get a lil Christmassy over summer!). Then in March, the lovely ladies form Lush Liverpool gave out some huge chunks of their Brightside Bubble Bar at the North West Bloggers meet. Suffice to say, I’ve had a fair bit to keep my baths luscious of late! Can’t you tell I’m building up to justify a little trip in Lush to stock up on goodies? 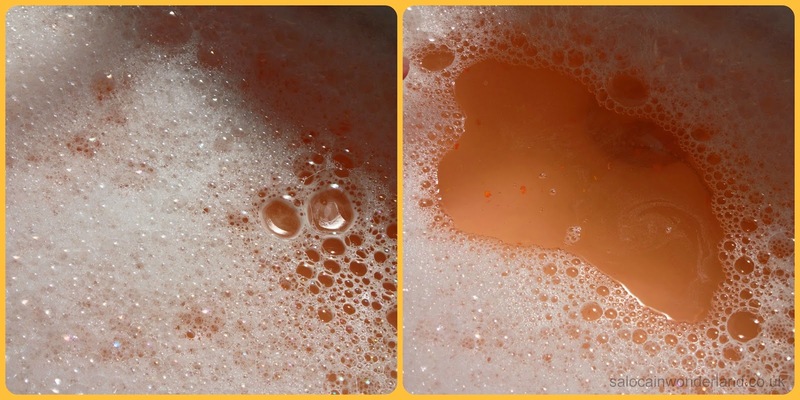 Bath time is a happy time – especially when you start crumbling a bright orange bubble bar under running water. I’m pretty sure it’s been scientifically proven that the colour orange actually fires off receptors in the brain that lifts your mood and makes you feel much happier! The bar itself is one massive chunk of bubbling goodness. So big, that I easily got 3 baths out of mine – using the whole thing in one go would be an epic fail! Just a third of this gave my bath more bubbles than it could handle and I had to drain a little water so it wouldn’t go spilling over the edge. Imagine having a bath so big it could take the whole bubble bar? Oh a girl can dream (or oogle such baths on Pinterest!). The Brightside bubble bar is made from Sicilian mandarin, bergamot and tangerine essential oils which smell amazing. I love fruity citrus scents and this filled the whole top level of the house! It smelt divine and instantly put a smile on my face. The combined essential oils are not only uplifting to the senses, but they cleanse and tone the skin too. Brightside also contains gardenia extract, something that for over 2000 years has been treating irritated skin, headaches, urinary tract infections and release tension. Brightside turns your bath a really inviting orange colour too, and in an all white-bath the effect is pretty stunning! Even though it dyes the water, there was no residue left behind after draining the bath! I’ve got to say, this has been one of my favorite bubble bars so far! The scent alone is a winner for me but after a long soak in the tub with one of these bubble bars my head feels clearer, I feel more focused and relaxed, in a much better mood and ready to take on the day! 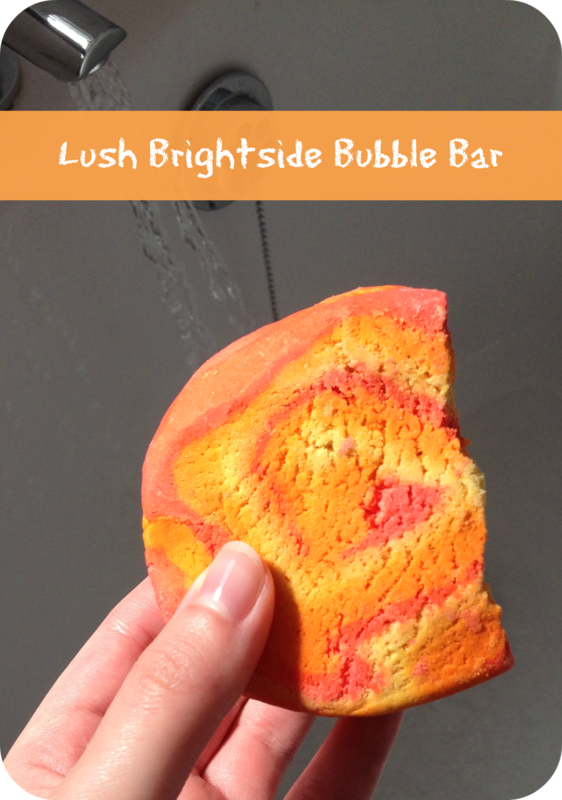 Have you ever tried the Brightside bubble bar? Let me know in the comments below! This is my fave bubble bar ever! I am in love with the scents it gives off! I also love how you can use only a tiny chunk for each bath! A little goes SUCH a long way I was so impressed! It's amazing! I've even broke a lil off and used it as a foot soak, it was bliss - and SO bubbly! hehe! You have NO idea how much I want to do this!! It'd be like the foam party to end all foam parties! ....you COULD get a paddling pool.....:D That'd be all kinds of amazing haha! I've had a Lush massage using the Comforter and it was unbelievable! I've never felt so relaxed before! Smells amazing!